Ethiopian restaurant Addis Ababa is a cosy and affordable restaurant in Amsterdam, where you can enjoy delicious authentic Ethiopian dishes. 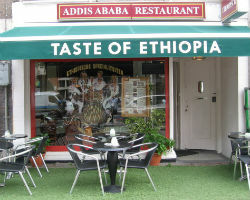 The restaurant is named after the capital of Ethiopia, Addis Ababa. This literally means: “new flower”. 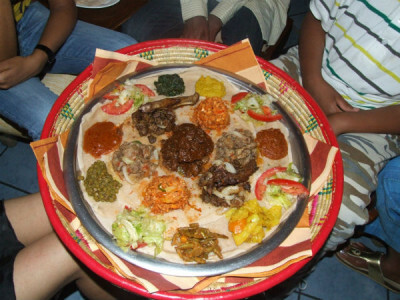 Ethiopia has a special food culture, which goes back far in history. For example, the llias of Homer already described how Greek gods descended of Mount Olympus to sit down at a banquet with the noble Ethiopians for enjoying Ethiopian food. Just enough of the European cuisine and fancy a tasty and healthy African meal? 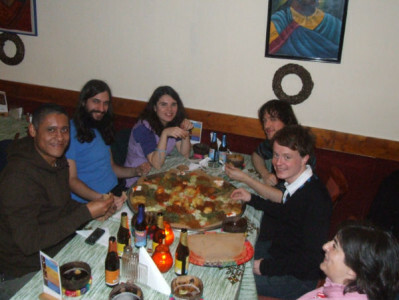 Try the Ethiopian cuisine once and enjoy Ethiopian specialties! Eating is a social activity in Ethiopia. Everyone eats with his right hand of an injera. This fermented pancake is an Ethiopian specialty. Tear off a piece of an injera with your fingers, grab a vegetable, fish or meat and eat this up. 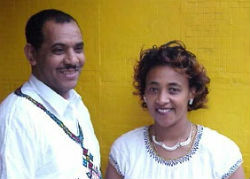 Melkam megeb! “Enjoy your meal!” in Amharic. The meat that we use, is halal and comes from an Islamic butcher’s shop. If you wish, you can eat in restaurant Addis Ababa not only vegetarian but also vegan. It is also possible to eat completely gluten-free with us. Let us know that one day in advance. Then we can make gluten-free injeras especially for you. Read more about our ingredients and allergens.